Florida motorcycle riders are at an increasing risk of being hurt in a collision. Given the severity of so many motorcycle crashes, it's important to understand why these accidents happen and what can be done to prevent such tragedies. Sun Sentinel covered a recent motorcycle accident report by the Florida Department of Transportation. The report sheds light on the common causes of motorcycle crashes. Both motorcycle operators and the other drivers can use this report to examine the role they play in increased motorcycle collision risks. Hopefully, knowing how and why motorcycle crashes happen will prompt a change in behavior. The Sun Sentinel reports most motorcycle riders believe it is the driving behavior of motorists in passenger cars that is causing accidents. The DOT's report provides some evidence to support this. The data shows motorists in trucks and cars are often at fault because they do not yield the right-of-way to motorcycle riders, even when it is the rider's turn. A senior researcher for the Center for Urban Transportation research at the University of South Florida studied a total of 10 years of data from motorcycle accidents statewide. The research showed that in 60 percent of cases where a passenger car and a motorcycle collided, the motorists in the vehicle were to blame. There were lots of different ways that drivers increased the chances of motor vehicle accidents happening. One common cause noted by Sentinel reporters was vehicles making a left turn and pulling in front of the path of a motorcyclist traveling straight. Drivers often complain they "never saw" the motorcyclist in this scenario, which makes some sense when you consider motorcycles are smaller than cars. But that's not a defense in a civil case because drivers have a legal responsibility, or duty of care, to watch for motorcycles. It should be reported that drivers with motorcycle endorsements on their license were more likely to notice motorcycles. These survey results suggest it has more to do with awareness of motorcycles rather than a physical inability to see them. Drivers also fail to accurately assess motorcycle speed because people judge speed relative to object size. Since motorcycles are smaller, cars often don't yield for them, even if they'd have yielded for a bigger vehicle because the larger vehicle would seem as if it were more of a threat to the motorist. The driver could also misjudge the distance between their car and the motorcycle, contributing to crash risks. This does not mean only drivers are causing motorcycle crashes. 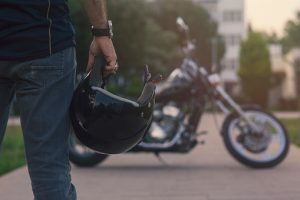 The study also showed that there is a far higher number of single-vehicle collisions involving motorcycles, as compared with single-vehicle accidents involving other kinds of vehicles. As many as 34 percent of all motorcycle accidents are single-vehicle crashes that only involve the motorcyclist. When it comes to collisions involving traditional cars, only 19 percent of accidents involve just one vehicle. Motorcycle riders can try to prevent the added risks of a single-vehicle crash by realizing when such accidents are most likely to happen. Farrow & Pulice, P.A. is located in Sarasota, Florida and serves clients in and around Laurel, Englewood, Nokomis, Venice, Sarasota, Osprey and Sarasota County.